Vannessa Muangkod was crowned Miss World Thailand 2012 was crowned on March, 24, 2012 at the Central World Hotel in Bangkok. Vanessa “Na-Chatra” Muangkod is 20 years old and stands 1.74m. She is a student of Ramkhamhaeng University, major in Humanities. Vanessa will represent Thailand in Miss World 2012 pageant, on August 18, in Ordos, Inner Mongolia, China. 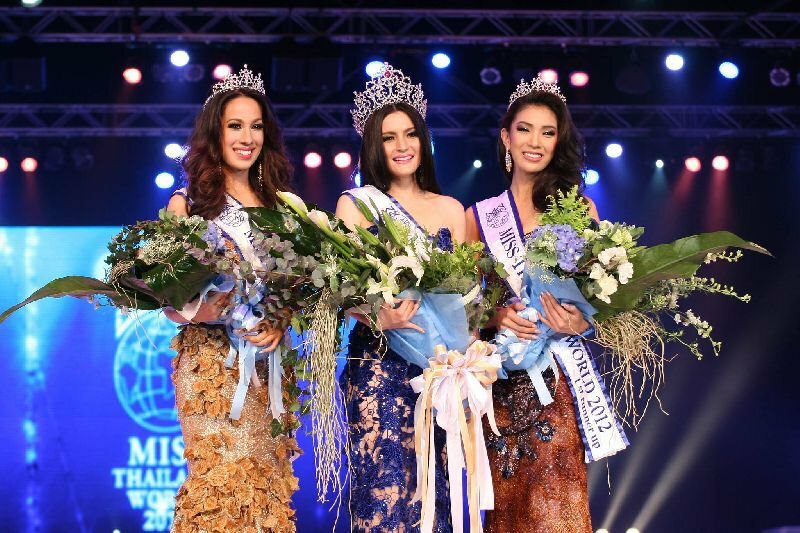 The 1s runner-up was Boonyisa “Poppy” Chantrarachai, and the 2nd runner-up was Chawanluck “Pekky” Unger Moksiri. The other two finalists were Athitaya “Uli” Von Zur Muehlen and Jarinya “Rin” Bachmann. M Thailand is beautiful. Is one of my faves in pre-arrivals list.